Ponytail hairstyles are quite popular. A lot of superstars are creating them. The luscious version of the classic ponytail is ideal for people wanting something more sophisticated, yet simple to make at once. The ponytail is the minimalist and trendy variant of the season. 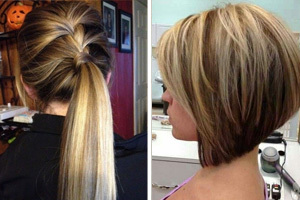 The ponytail can represent the ideal option for more formal or business look. Ponytails do not have to look usual, simplistic or lifeless. 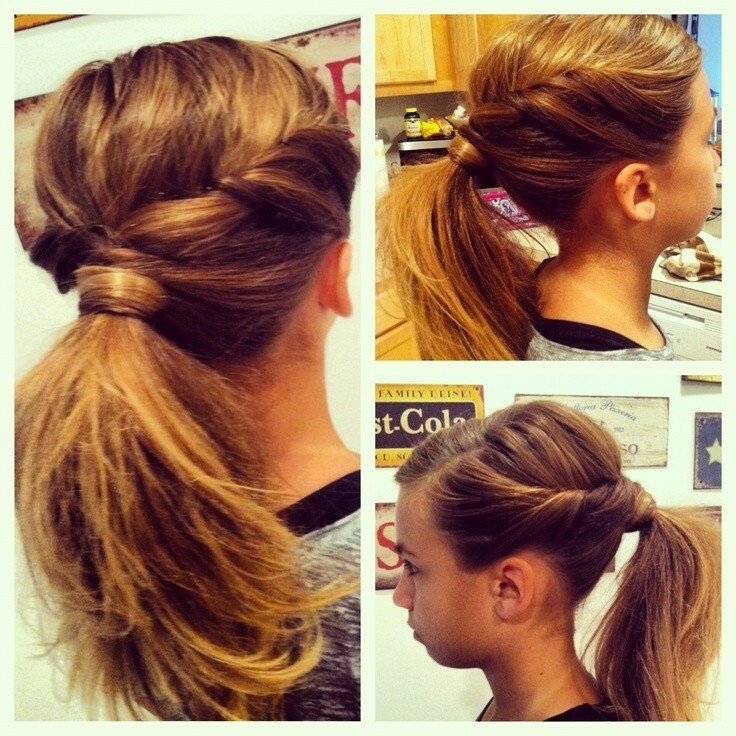 With some imagination, you can make the ponytail hairstyles more fun, innovating and sophisticated. Ponytail hairstyles can be flattering at any age as long as they are styled accordingly. A great advantage that we have whenever we choose to wear a ponytail is that our facial features and we should ensure that it is cool and offer us a youthful allure. The following are some splendid and fabulous ponytails. Read them one by one. A simple way to take a ponytail hair style to the next level is by adding some soft waves which can add natural volume to the hair and your whole look will look polished yet cute. A long side swept bangs will adequately contour the face, making the whole hairstyle look absolutely fabulous and attractive. Another way to update a simple ponytail is to add some volume. Upping the volume on the crown of the hair is the most common way. 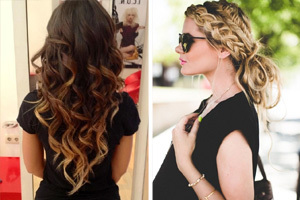 For the look the hair will be divided into2 parts of the same length with two hair elastics. The first part will be the one with the most volume. Sleek straight ponytails are fabulous but pulling off the type of hairstyle is to not as simple as it seems at a first glance. 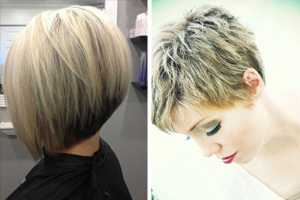 The hair must be completely healthy to get the shine that makes sleek hairstyles so popular. Styling products can offer help when trying to create a charming hairstyle. If your hair is shoulder long and with some layers, the half ponytail will be ideal option for you. To create such ponytails, brush all your hair from the hairline to your crown part and collect them at the top crown. Just keep the back hair as it is. Then, fix half of the hair into a pony tail. Turn to some pins to keep it in shape. Suitable hair accessories can get the whole hairstyle more attractive and charming. 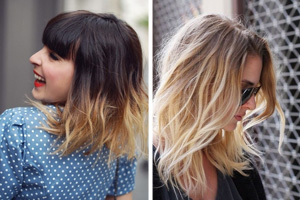 For a messy look, you can keep some locks at the side. Side swept bangs can add more style and grace to the ponytails. Back ponytails are great for people with straight hair. To create the hairstyle, first comb the hair from the sides and then get them to the back to make a height at your crown. Some gel can help make the process easier. 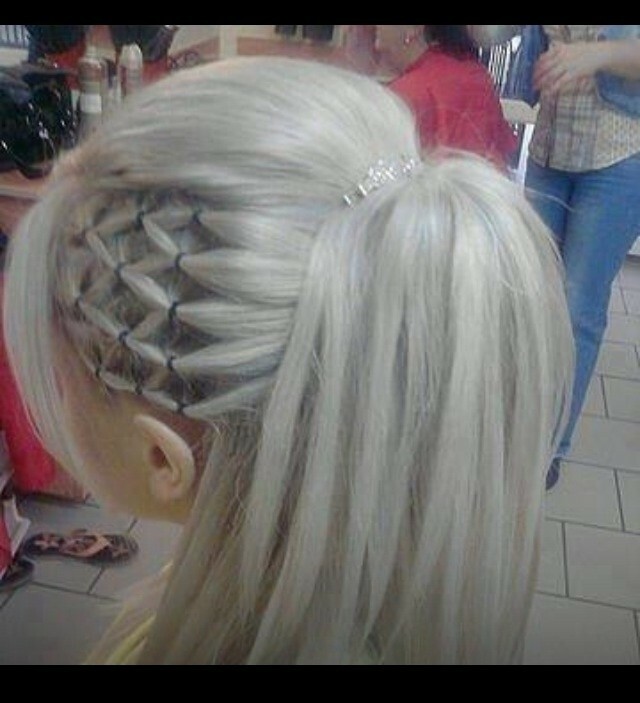 Next, make the hair stay in place with the help of pins. Some proper hair accessories can make the hairstyle more and unforgettable. 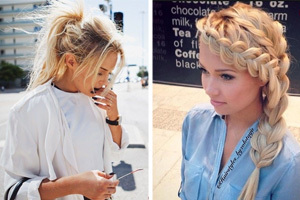 Besides, you can also try out a braided ponytail hairstyle. You can choose a simple French braid or a more complicated braid style but either way, regardless of your choice, braided ponytails will always looks cool and fun. You can also wear some hair accessorizes to complete the look. 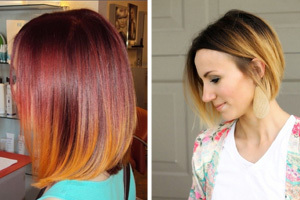 Thus, you can kiss goodbye with the monotony hairstyles. 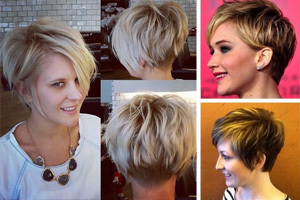 So you can refer the styles of Hollywood superstars and make full use of your creativity and inspiration to create the stunning style. Choose one of these modern ponytail hairstyles next time. 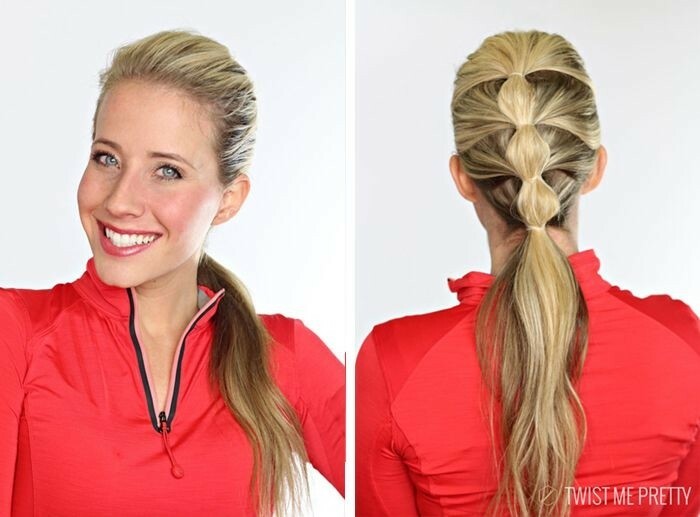 Twisted Braids Ponytail Hairstyle Is So Fresh and Absolutely Perfect for Spring!